We look into some of the best Christmas Parades in Queensland and around the world. All around Brisbane city giant Christmas trees, wonderful decorations, Christmas songs and colourful lights can be seen and heard. With the festive season starting, free activities and entertainment are popping up all over the place. One of the festivities people are looking forward to is Queensland’s Christmas parades. Queensland has many spectacular Christmas parades, the Christmas Parade by David Jones is a perfect example. It’s a yearly event that takes places in Queen Street Mall and Albert Street, going to King George Square. This year’s Christmas Parade by David Jones is set to start at 7 pm in the evening from the 14th to the 23rd of December. Be sure to see the parade and have fun with Christmas carols, characters, merriment and colourful, glowing floats! The Brisbane City Council’s Christmas Parade is another good one to attend. It will happen on the 21st of December from 7pm to 8pm. The parade will start outside David Jones and end in the King George Square. Mooloolaba, on the Sunshine Coast, has a unique twist to the traditional parades. Mooloolaba Christmas Boat Parade happens in water and not in the streets! Organised by the Mooloolaba Yacht Club, this parade is set to happen on the 22nd of December. Enjoy different dining options and fun games with family and friends during the event. One of the most popular Christmas parades in the world headlined by everyone’s favourite Disney character – Mickey Mouse! Bring out your inner child and enjoy performances from favourite Disney characters such as Minnie, Donald and Daisy, and over-the-top-floats of Disney Princesses. Enjoy the glitz and glamour of the Hollywood Christmas Parade, where Santa isn’t the star of the show, it’s your favourite celebrities. Expect a line-up of surprise guests and renowned artists. It’s as grand as it sounds! The Grand Festival of Lights Parade is sponsored by the retailers of SM Mall of Asia. This mall is the 10th largest in the world, and located in the Philippines. The parade happens every Saturday in the month of December until Christmas and features colourful lights and amazing decorations. The only parade where kids don’t wait for Santa to hand out gifts. In Spain, kids wait for the Three Kings to give them presents! The Three Kings Parade is highly celebrated in Spain and a must see. 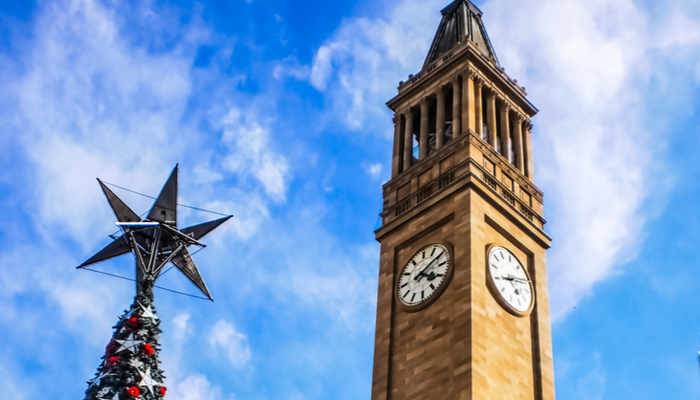 Besides the parades and festivals, Queensland is a versatile place where you can do anything and everything during the Christmas season. You don’t have to spend Christmas cooped up at home in front of the fire, Christmas in Queensland is the start of summer. Go camping, spend time at the beach, enjoy the sunny weather outdoors, go wine tasting, experience the peace and quiet of the country side, visit cultural attractions, go to Christmas festivals and enjoy the wide range of food delicacies all in one place!